Small Kitchen College » Friday Recipe Round-up: Holiday Baking in Your Dorm! Friday Recipe Round-up: Holiday Baking in Your Dorm! It’s already Passover, and Easter is just a few days away, so we decided to put together some holiday-inspired recipes (and a few other things) to cook up if you are missing your family’s celebration back home, or want to impress your fam with some college cooked contributions! Peeps are an Easter necessity, so why not try something a little different with this Marshmallow Peeps Monkey Bread from The Knead for Speed that has simple ingredients accessible to any college student. Cakes and Popsicles seem like an unlikely combination, but when you dress them up and give them an Easter twist, they are irresistible. These Easter Cake Pops from kumquat (inspired by Bakerella) may be a little complicated, but the end result is definitely worth the work. Missing your leavened desserts during Passover? Well Deb from Smitten Kitchen has adapted this delicious blackberry and coconut macaroon tart to be completely Passover friendly! If you’re looking for something a little more traditional try making some whole wheat matzoh which is both a fun study break and a way to get through the week without bread. 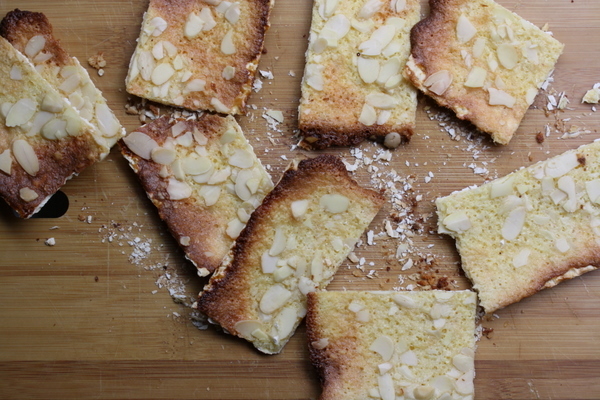 You can even use it to make the BGSK Almond Matzoh Toasts. Looking to Spice Up Your Love Life? Here’s what College Candy has to say about aphrodisiacs. Check out the beer review of the latest creation from Dogfish Head by the Columbia Culinary Society. Ramen of the week: change up your usual miso soup by adding ramen with this miso noodle soup recipe!